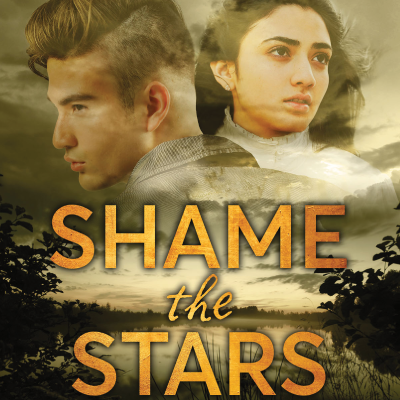 Our May title is the young dult novel, Shame the Stars, by Guadalupe Garcia McCall. "Eighteen-year-old Joaquín del Toro’s future looks bright. With his older brother in the priesthood, he’s set to inherit his family’s Texas ranch. He’s in love with Dulceña—and she’s in love with him. But it’s 1915, and trouble has been brewing along the US-Mexico border. On one side, the Mexican Revolution is taking hold; on the other, Texas Rangers fight Tejano insurgents, and ordinary citizens are caught in the middle. As tensions grow, Joaquín is torn away from Dulceña, whose father’s critical reporting on the Rangers in the local newspaper has driven a wedge between their families. Joaquín’s own father insists that the Rangers are their friends, and refuses to take sides in the conflict. But when their family ranch becomes a target, Joaquín must decide how he will stand up for what’s right. Shame the Stars is a rich reimagining of Romeo and Juliet set in Texas during the explosive years of Mexico’s revolution. Filled with period detail, captivating romance, and political intrigue, it brings Shakespeare’s classic to life in an entirely new way." McCall was born in Mexico and moved to Texas as a young girl, keeping close ties with family on both sides of the border. Trained in Theater Arts and English, she now teaches English/Language Arts at a junior high school. Her poems for adults have appeared in more than twenty literary journals. McCall is an up-and-coming talent whose debut YA novel, Under the Mesquite, won the Pura Belpré Award and was named a Morris Award finalist. McCall lives with her husband and their three sons in the San Antonio, Texas, area.